Nigerian/British World heavyweight boxing champion, Anthony Oluwafemi Joshua was unveiled as the star of Telcommunication giant Globacom’s new communication direction campaigns. This was announced at a media event in Lagos on Friday February 1,2019. The boxing icon described the network as his reliable partner. 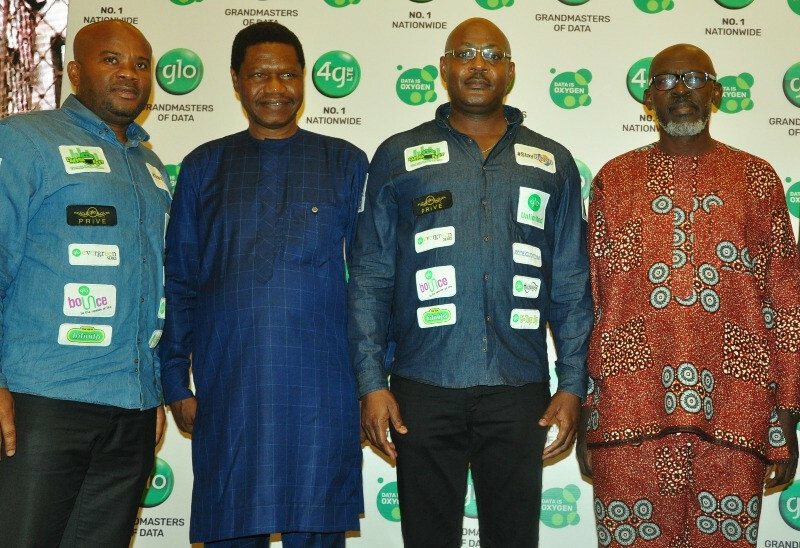 "I respect the ownership and management of Globacom and as a Nigerian, I believe charity must begin from home”. “I believe in Glo,” he said. 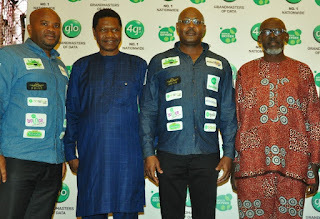 Mike Ehumadu, Regional Manager, Primary Sales, (East), Globacom; Christopher Okeke, Editor, Orient Daily in Awka; Bisi Koleosho, Deputy Chief Operating Officer (Technical), and Bolaji Adebiyi, Editor, Thisday Newspapers, at the presentation of Globacom’s New Communication Direction in Lagos on Friday.